Shaggy-stalked Bolete (Austroboletus betula a.k.a Boletus betula). 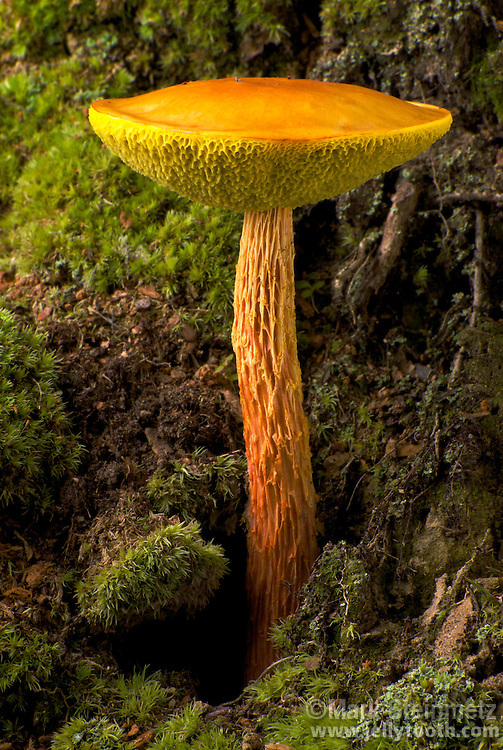 This beautiful mushroom appears, like most Boletes, in late summer or early fall in eastern North America woodlands. Boletes are mycorrhizal partners with tree species. In place of gills, this group of fungi has spore-bearing tubes ending in a pore surface which is sponge-like. This species is edible.